A number of anthracite energy blocks reequipped to use gas coals. For the second month in a row, Ukraine reduced the use of anthracite coals by 300 thousand tons compared to the same period last year. In annual terms, this will allow Ukraine to cut the use of anthracite by 5 mn tons, or almost by half compared to the previous year, the Cabinet reported on Monday, 11 December. "While we earlier consumed over 9 mn tons of grade A coal, this figure will dwindle to about 5 mn tons by the end of the year. This was due to the government program aimed at transferring the anthracite energy blocks at Ukrainian thermal power plants to the coals of gas group," reads the statement posted on the governmental web portal. The strategic goal for the next year is to increase domestic production of gas coals, the statement said. Ukraine until 2014 has fully provided its needs in anthracite at the expense of the Donetsk basin. However, the anthracite coalmines remained on uncontrolled territory after the Russian aggression. In July 201, state-run energy company Centrenergo reported landing a contract for the import of anthracite with the US company Xcoal Energy and Resources. 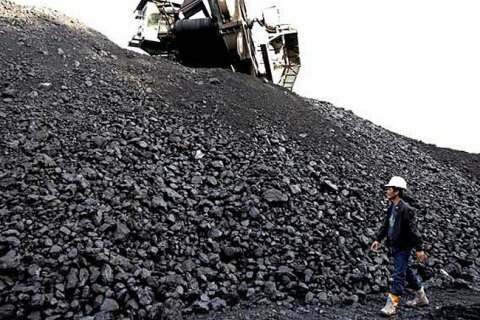 Under the deal, Centrenergo expects to import 700 thousand tons of American coal by the yearend. To date, Centrenergo has received about 400 tons of American anthracite.